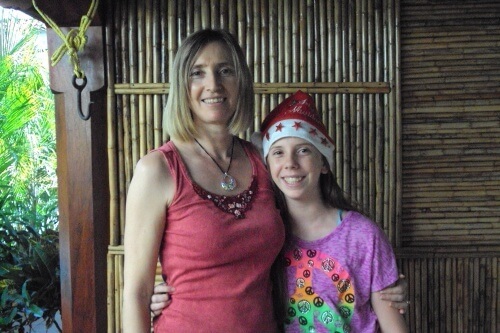 Hi, I'm Margit and this is my daughter Noela, celebrating the Holidays in León, Nicaragua (we live in this beautiful Central American country). This is the story of how I got into balloon decorating and why this has changed our lives. I never expected that when I was introduced to the idea by my ex-partner John in 2006. The journey hasn't always been easy. There are still ups and down, but what I absolutely love about my current life is that I run my business from home, and that I can choose where to live. The balloon story starts about 5800 miles (9300 km) west from here, in Germany. My then partner John (now ex-partner) had just moved from his home country Scotland to live with us. By now, you might have realized, that we are a pretty international family. I love traveling and exploring new countries, cultures and languages. What's that got to do with your story about balloon decorating, you ask? Bear with me, I'll answer this question at the end of this page. Apart from a car load of personal belongings, John brought a hobby and a business idea with him: balloon decorating. At that time I was self employed. Together with a business partner I had been doing climate and air pollution studies for town planning for more than 10 years. The dwindling German economy had made our profit dwindling too and my income was not enough to support a whole family. As it wasn't easy for a Scotsman with little German knowledge to find a job, we decided to give the balloon decorating idea a try. We sorted out the legalities, had an official launch with the mayor of our little town, bought materials and started advertising. We even sold helium filled foil balloons during local fairs to get us known to the community. Standing there (either freezing cold or in the scorching sun), all day long, for a profit of 100 Euros - I wonder how people can do that for a living. Definitely not my cup of tea. Despite our efforts we only got one real decorating job. 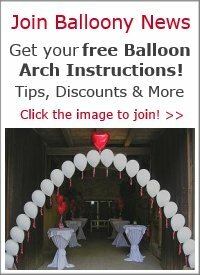 We did balloon bouquets and a floating arch for a wedding. I remember how beautiful it looked. 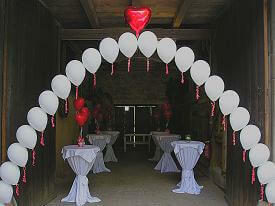 Pearl white round balloons combined with flaming red hearts, set up in the yard and barn of a charming old farm house. It became clear to us that the German market was not very receptive to balloon decorations, contrary to Scotland, where you hardly find a wedding without balloons. So, what should we do? Bin the balloon decorating idea? Moneywise, our situation worsened every day, and I got pretty upset that I had spent hundreds of Euros on an idea that was doomed from the beginning. Lesson to learn: never start a business without proper market research first! I was also angry with John, because I felt that he didn't put enough effort in improving his German, in order to finally find some sort of paid work. Most of all, I was sick of having to think twice about every penny before spending it. Then I spent 299$ for a product I had never heard of before. And it turns out that this investment was one of the best I had ever made in my life. The product is called SBI!. It's actually a whole set of products that enabled someone like me - who used the Internet only for ordering the odd book from Amazon, to create the very Balloon Decoration Guide you are exploring right now. Which comes up on the first page of Google's search results when you search for 'balloon column', for example. Instead of trying to sell our services to a local community that considered balloons as children's toys rather than a means to create stunning decorations, SBI! enabled us to present our knowledge to a global audience. Our goal was not to sell our services though. 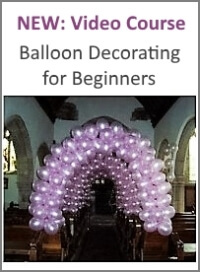 No, we wanted to show you and everyone with an interest in balloon decorating how to create beautiful arches, bouquets and columns yourself. Well, that was not the only goal. I am not a samaritan. I also wanted to earn money with this site, which I do. 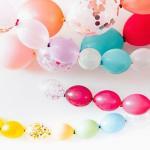 I earn some nice extra income with balloon-decoration-guide.com. Where would you like to work from? What excites you? What do you feel strongly about and would like to share with like minded people all over the world? Come on, I am sure SOMETHING comes to your mind. But how on earth are you making money with a website that doesn't sell anything? My main income comes from promoting affiliate products and advertising. You probably noticed the ad blocks throughout my site that say "Ads by Google". These ads are all related to my theme and every time someone clicks on one I make money. 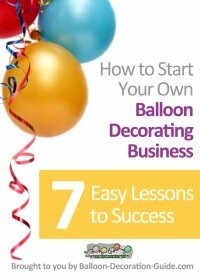 I am also selling an eCourse for balloon hobbyists like you who want to turn their hobby into a business. That's just a few of the many ways you can make money with a website, well, not with any site, but with an SBI! website, that both human visitors and search engines love. The way I see it: relationships can break, whether with your life partner or your employer. Your website stays with you, as long as you want. You own it. You drive it. You control how much you'll get out of it... whether it pays for the extra day at the beauty farm, or for your dream life on a Caribbean island. Yes, please show me the money with SBI! P.S. If you are looking for a 'Get Rich Quick' solution, you can stop reading now. But if you are ready for a life changing adventure that requires commitment, time and hard work, then please, by any means, read on.